Product Quality Guarantee: "We stand behind the quality of our products"
Our huge range of heating and cooling products includes hundreds of products you'll only find at Metalflex - products that have been sourced or manufactured just for us. We refer to these products as our Value Added Products or "VAP products" for short. We call all this our Product Quality Guarantee and it covers all of our Metalflex Value Added Products purchased from May 2011. Different warranty periods apply to different types of products. Please ask our branch staff for more information. All of our goods - VAP and non-VAP products come with guarantees that cannot be excluded under the Australian Consumer Law. You are entitled to a replacement or refund for a major failure and for compensation for any other reasonably foreseeable loss or damage. You are also entitled to have the goods repaired or replaced if the goods fail to be of acceptable quality and the failure does not amount to a major failure. Before they ever reach our branches, all our Metalflex VAP products, wherever they are manufactured, are tested to ensure they comply with all Australian and regulatory standards as well as our own rigid Metalflex standards. In fact, we are the only supplier in Australia with our own product quality testing facility where we independently and rigorously test the products we sell. This unique commitment to product quality gives us, and you, total product quality confidence. Metalflex provides a comprehensive warranty program for all our Metalflex VAP products. Different warranty periods apply to different types of products. The majority of our VAP products enjoy a minimum 7 year product replacement warranty for domestic use with a one year warranty for spare parts and labour. The type and length of the warranty that applies to a particular product is available for you to access. The full warranty details are contained in either "Tech & Warranty Sheet" or "Warranty" information of a product. 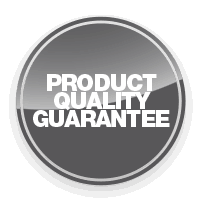 All Metalflex VAP products purchased from May 2011 will be covered by the Metalflex Product Quality Guarantee program. It is a condition of our warranties that the products are installed by a licensed installer. Heating and cooling products are becoming more and more sophisticated. How they are installed can impact on how well they perform. A licensed installer will ensure the products are installed and operating properly so you can enjoy their full benefits for as long as possible. So, don't risk it, always use a licensed installer. If you have any questions about your warranty or require technical support, our after sales Customer Care team is there to support you. Depending on the type of product and the nature of your query, we will be able to provide you with direct support or will arrange for the relevant manufacturer to attend to your request. If you do have a query, simply contact the Metalflex store where you purchased the product and we will arrange for our Customer Care team to attend to your request.